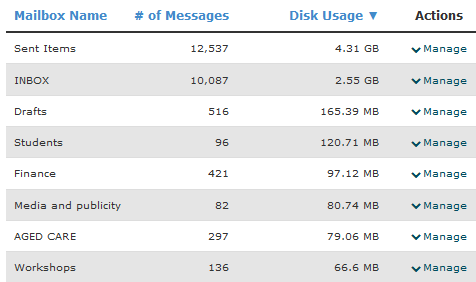 The Email Disk Usage tool in cPanel is an easy way to check how much disk space each email account is using get a break down of that space by folders in each email account. 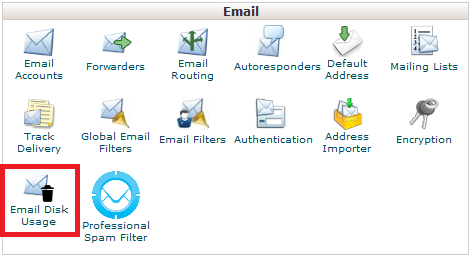 It also allows you to delete emails based on specific values like how old or what size they are. Follow this guide to use it. However please be sure to have important emails backed up and stored safely on offline so they don't risk being lost. Here is a short list of some common queries you can use. Feel free to modify the values to suite your needs. 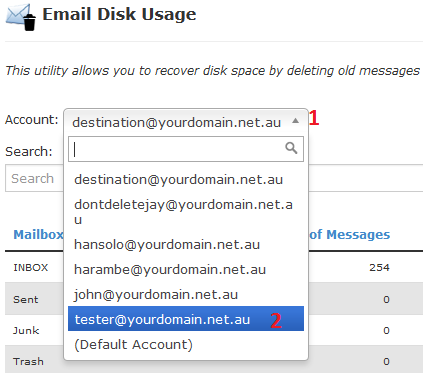 If some emails are deleted by accident, and you're on a Personal, Business or Reseller plan, click here for a guide on restoring emails using our automated backups. If you have a Managed VPS just submit a support ticket with the details on what was deleted and we can do a restore for you.